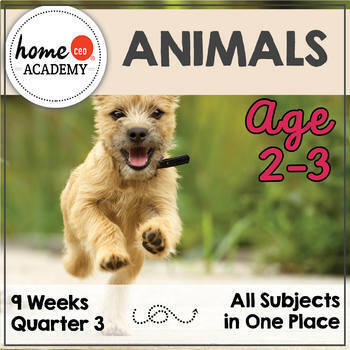 9 weeks of super fun, super engaging animals-themed preschool units! 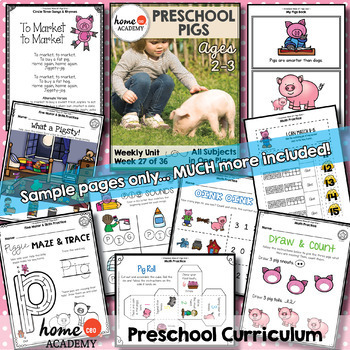 This bundle includes everything you need to teach and much more! Complete lesson plans for 3-5 days of fun. All subjects covered - language, math, reading, gross motor, practical life, and optional Montessori activity suggestions. Also includes snack suggestions, book lists, theme board materials, daily warm ups and easy to follow one-page lesson plans. 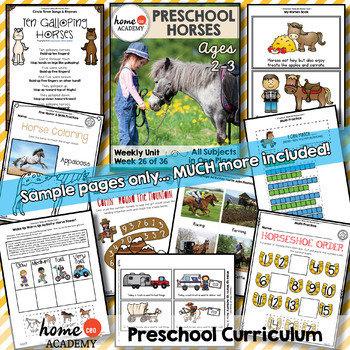 Plus tons of bonus classroom materials including our huge circle time board pack, daily schedule board, song posters, alphabet and number posters and much more! This product does much, much more than teach animals. We use the theme of animals to touch upon a wide variety of early learning skills. 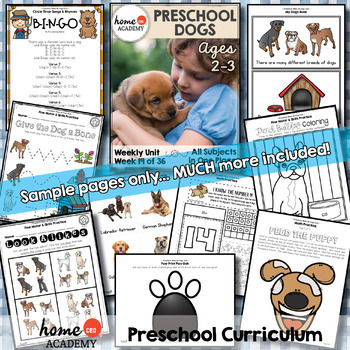 This bundle includes weeks 19-27 from our complete year 46-week Age 2-3 preschool bundle, which is also available from our store here! The week numbers correspond to where these units are placed in our complete year curriculum, but they can be done as stand-alone units as well. Each lesson plan is organized and easy to follow and includes activities that are easily replicated. Includes award-winning book lists, games, songs, sensory, craft, math and practical life exercises. This product is perfect for the homeschooling parent who needs to implement a plan quickly and flexibly. The weekly format allows you to see the week ahead and complete the work at in an unrushed, natural pace that works with your schedule. ALL PROFITS TO CHARITY: 100% of profits from our TPT store supports charity and has been used to support over 20 organizations supporting education, social justice and the alleviation of poverty, disease and human trafficking. Learn more here. To see the curriculum in action, check out our Instagram @homeceoacademy!